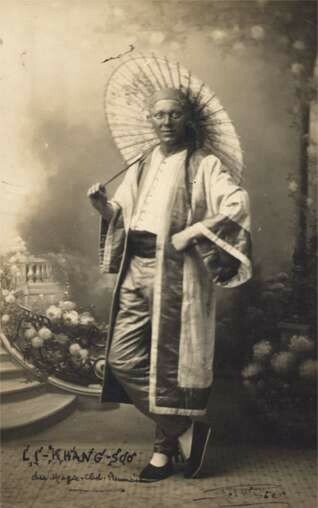 Actor Chinese Magician Real Photo - Entertainers - Real Photo - Vintage Postcards | VintagePostcards.com: vintage, old, antique postcards for collectors. "Li Khang-Soo, of the Magic-Club, Rennais." Autographed on front by M. Pol Walter, the magician. France.